Patrons who regularly attend Eden Park have become used to the asymmetries that mark the classic New Zealand compromise to the king code of rugby. 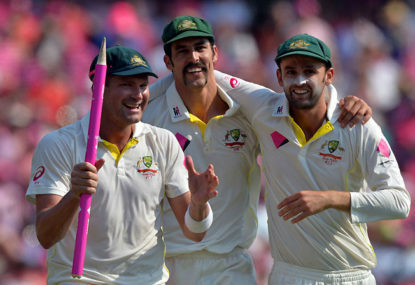 The Nathan Lyon inspired victory in Adelaide will not be repeated in Brisbane – that’s the 12 wickets bit, not necessarily the victory bit. 31.4 overs. A single session of cricket. Capitulation, surrender and embarrassment. And that was just the final Test. I am pretty much an optimist when it comes to cricket results (and I am on record as predicting an Australian 2-1 win) but in my weirdest dreams I hadn’t foreseen this shellacking of our northern visitors. As the ball looped lazily toward short leg from Jimmy Anderson’s self-preserving fend I had ample time for a 24-year-old flashback. 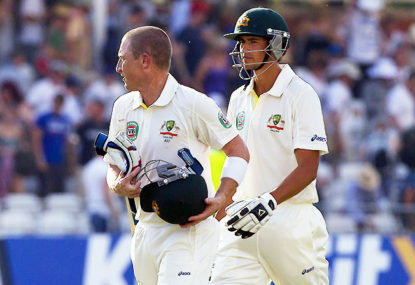 Test victories at Adelaide Oval are very often hard earned. The pitch has forever lacked a green flavour, drop in or live in: brown, browner and brownest being the favoured shades. I know, I know, I know, it wasn’t a pretty sight. I reduced my nightmare quotient by peering through my fingers at the scoreline then flicking over to the golf. 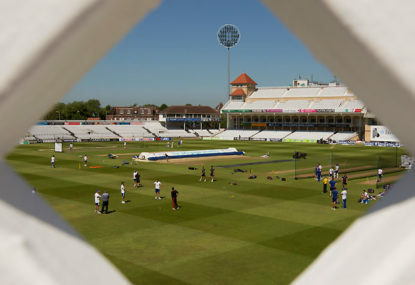 As I charged up the laptop to compose this column I was torn between two key views of the first Test at Trent Bridge. Given the arrests “we got a result guv’nor”. After copious phone taps, obviously, ASADA aren’t conducting an investigation or player interviews in the IPL. 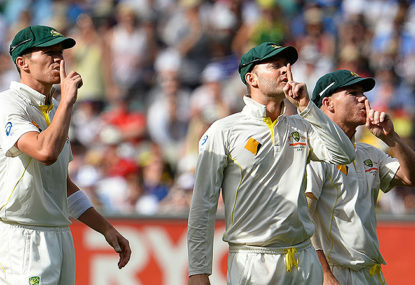 Where to start with the dog’s breakfast of a performance that Australia dished up in India? The definition of madness is to keep repeating the same action and hope for a different result. 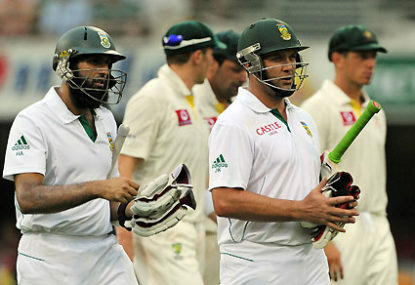 By day’s end at the ‘Gabba, South Africa could rest easy. 2-255 is a handy platform to launch a match-winning score. 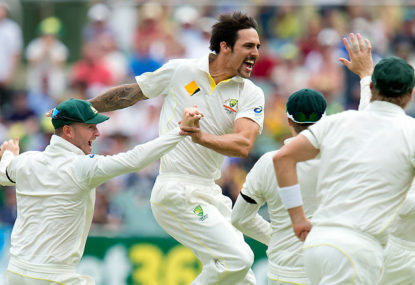 Yet, the Australian bowling at no time lacked effort or purpose. 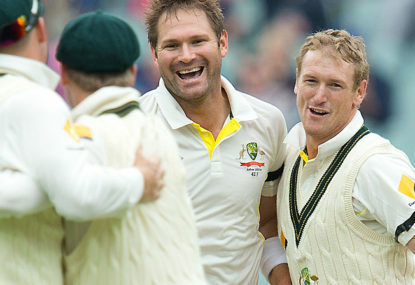 The selectors have cast their die for the First Test and perhaps beyond. 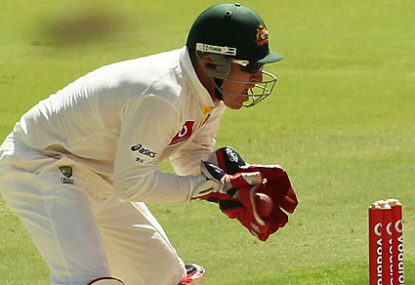 Brad Haddin is the first victim of the summer and a ball has yet to be released. The selectors had a think. What’s working? What’s not working? And a few, who’s for the what’s. A typically bombastic Chris Gayle innings and some astute captaincy from Darren Sammy might not have helped, but some questionable decisions from captain George Bailey were the real catalyst for Australia’s downfall last night. Pakistan have a batting order spring loaded to attack from first ball to last but have become gun shy after getting knocked over by India cheaply. HENRY: Is Arthur taking the Mickey with his selections? 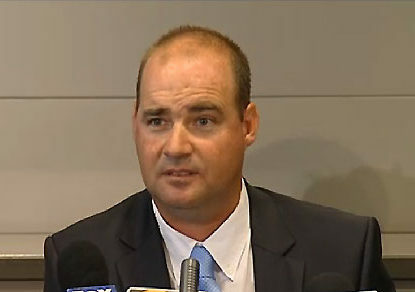 Mickey Arthur has been making a repeated point of letting the media, hence the cricket public, know that Australia will be sticking with the same team for consistency and match experience. George Bailly’s propaganda during the week was all about blasting India away with the quicks. 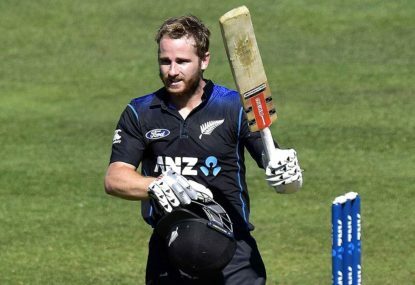 This pronouncement had shades of the disastrous 2011 World Cup campaign, where Aussie pace was going to triumph on the dust of central Asia. 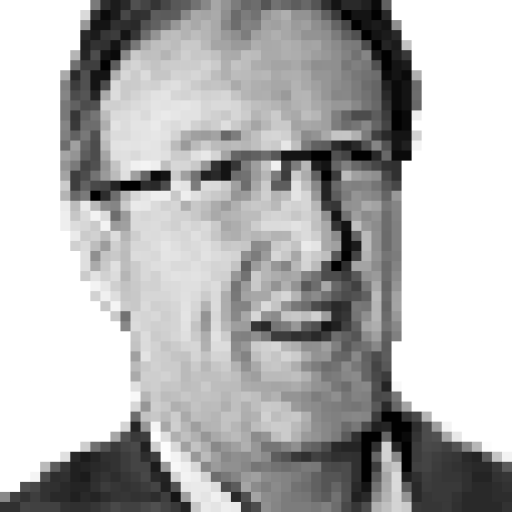 David- you obviously do not know James Sutherland well at all. He manipulated the Argus Committee by appointing himself to it so he could keep his job . Then he made horrendous appointments including a rugby person to run a cricket playing operation – the net result is what we have today in playing standards and behaviour . His leaving CA is the best possible way forward. Howard will go but that exit needs to be accelerated otherwise it will just be a wasted year. Add Peever to that exit and Australian cricket has a real chance of rejuvenation sooner rather than much later . Sutherland was the executive leader of the “ controlling , bullying culture ..” as the review underlined in bold . He will not be missed . Sunshinecoaster makes a good point in reference to the ” hard work ” that Watson put in on the sub-continent. Hard work is supposed to be rewarded, especially when accompanied by results. Apart from the pure selection philosophy of Watson v Symonds, the wet weather in southern QLD always produces a seaming Gabba pitch. This makes the Watson selection a no brainer. The other question relates to the spin blowing position. 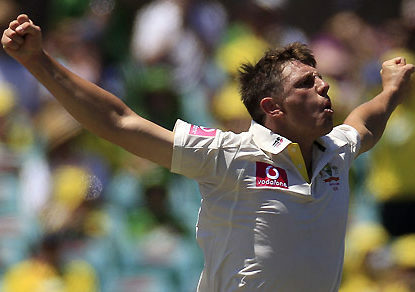 Australia have not played a finger spinner at the Gabba since G Matthews ( who made a maiden Test ton but didn’t take wickets ) in 1991 and Ashely Mallett!! In fact Jim Higgs was preferred to’ Rowdy ‘ Mallet in the first Kiwi Test of 1980. 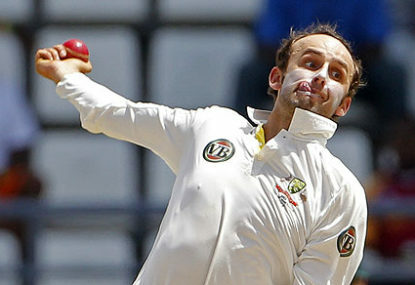 Krezja did wonderful things at Nagpur, but the ‘Gabba is not the place for him. 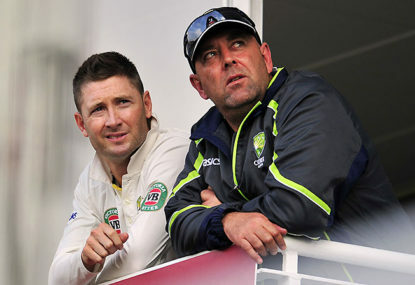 The selectors need to have a good long look at themselves because they are getting it very wrong at the moment.